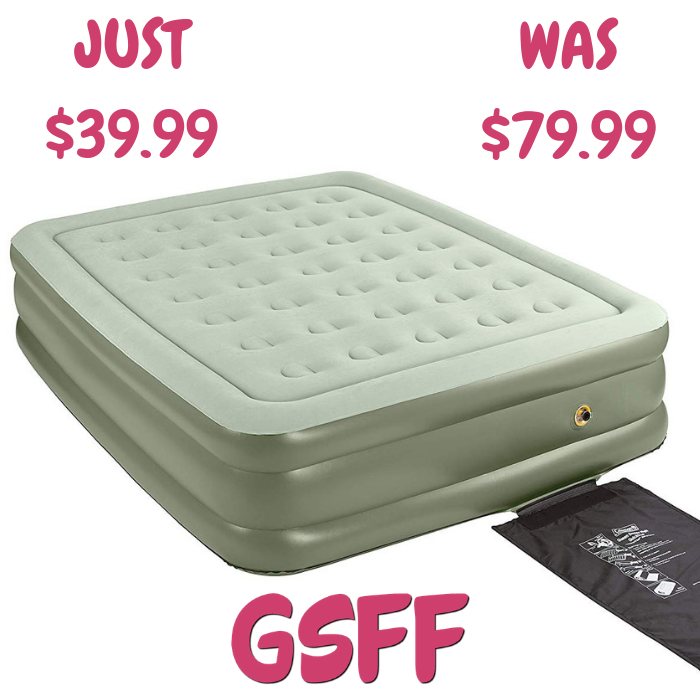 Coleman Queen Airbed Just $39.99! Down From $80! Shipped! You are here: Home / Great Deals / Amazon Deals / Coleman Queen Airbed Just $39.99! Down From $80! Shipped! Score this Coleman Queen Airbed which is on sale at Amazon for just $39.99 down from $79.99 PLUS FREE shipping! When guests arrive, offer them the all-night comfort of a Coleman SupportRest Elite Quilted Top Double High Airbed. A removable, washable, quilted top makes it feel more like a traditional bed. It comes with the convenience of a SwiftRise built-in 120V peformance pump, which will inflate your bed in under three minutes.